My kids love this and it is so easy! 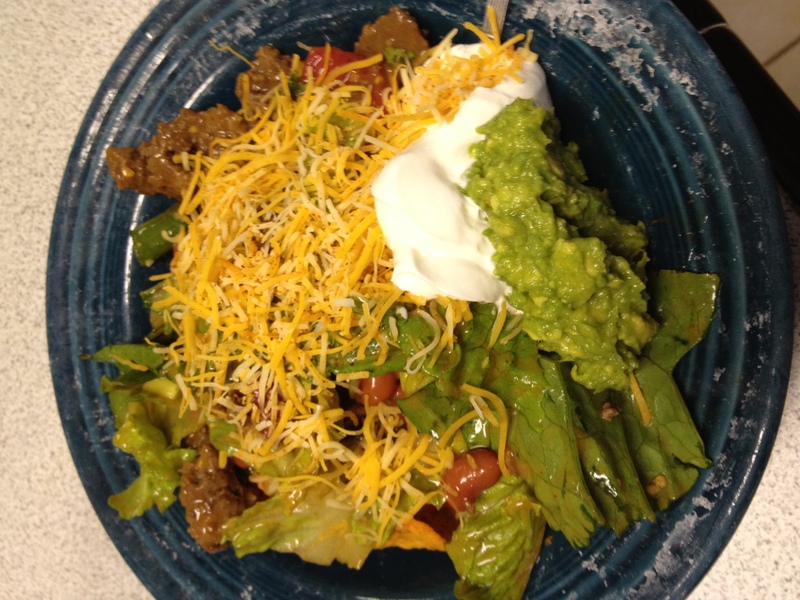 Brown your ground beef add taco seasoning – chop lettuce, tomatoes and onion combine in bowl with Olives and kidney beans. 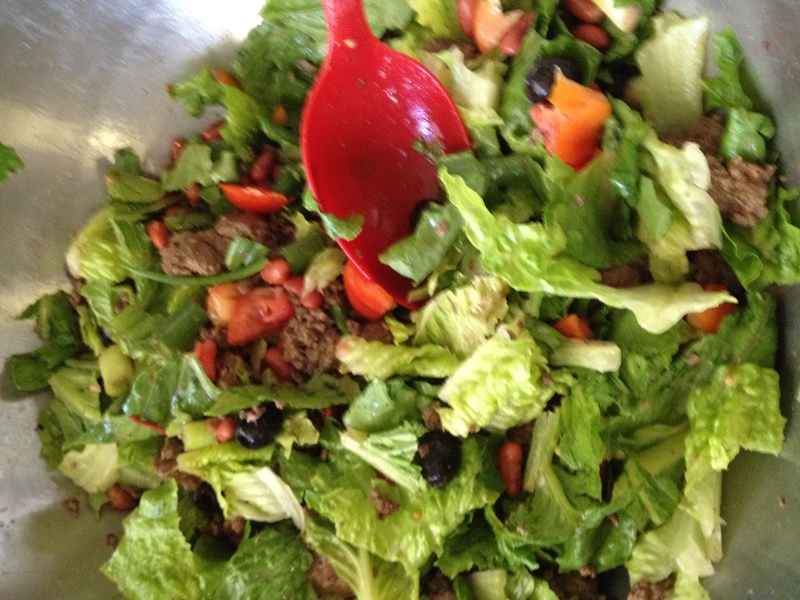 pour warm beef over lettuce mixture. Mix in french dressing. Serve on top of Doritos top with Avocado, sour cream, cheese and salsa. Enjoy!! Fast and easy!! Refrigerate left overs – it is even good cold the next day!! Posted September 3, 2012 by Traci Davis in Cheap and Easy Life, Go To Momma, Life! « Can Reata be the new Gerber baby?